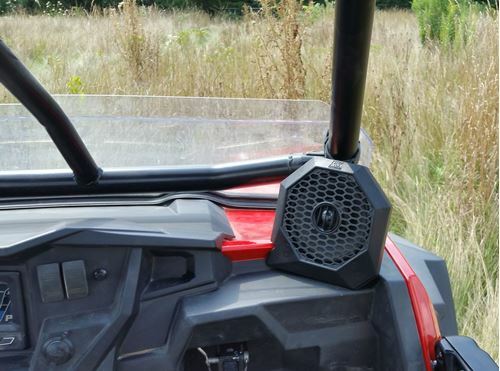 The RZRPOD65 are the best solution for adding speakers to your Polaris RZR. 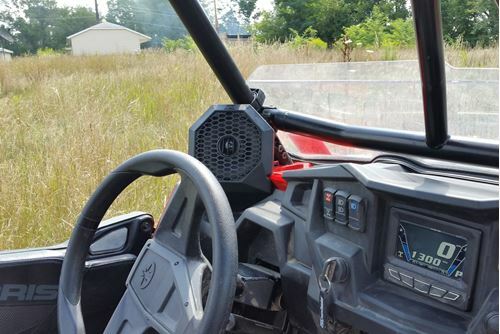 These all weather custom fit speaker pods mount to the vehicle's roll cage and are contoured to fit perfectly in the OEM dash. 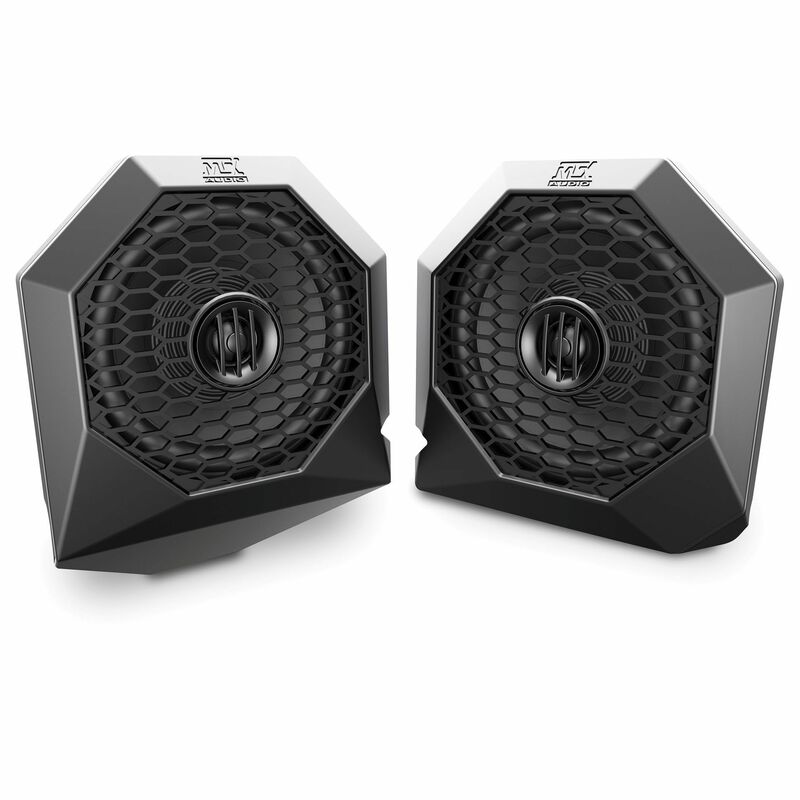 No more mounting speakers on the outside of your cage where they can get damaged and no more having to settle for kick panel speakers since your feet have no ears anyway. The RZRPOD65 delivers high performance audio in a location where you can actually hear it. 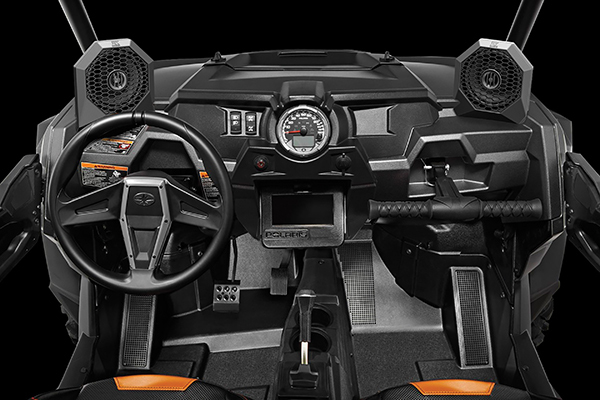 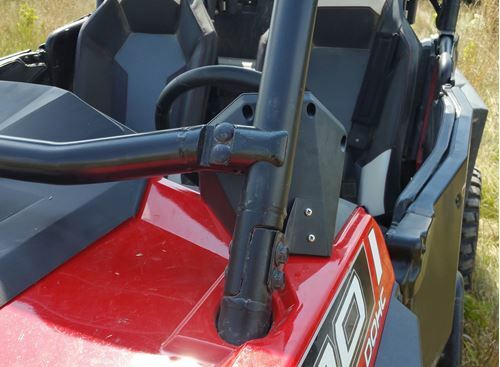 RZRPOD65, speaker pods, mount directly to the dash/cage of specific Polaris RZR models. 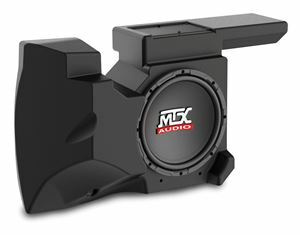 No cutting or drilling is required and the speakers are installed in the perfect location, aimed at your ears and out of your sightline, making them the perfect speaker choice. Constructed using rotationally molded polypropylene which creates a finish that is weather resistant and durable. Each 6.5" coaxial speaker feature a polypropylene cone and Teteron tweeter that deliver exceptional full range clarity and durability. 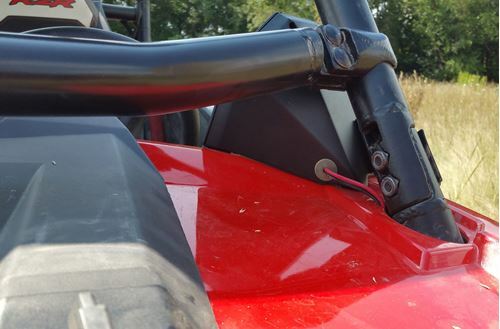 Each pod is pre-loaded and pre-wired for decreased installation time.